Is it time to give yourself the nurturing and healing self care that you deserve? Are you ready to step onto a path that will gently bring your health and wellbeing back into balance? We are happy to announce a brand new package to promote optimal health and wellbeing for women. 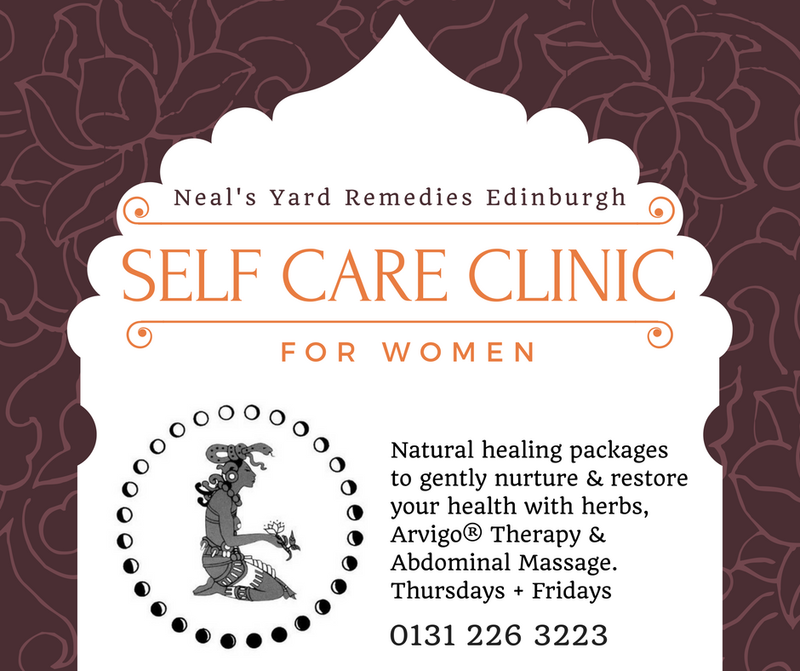 Fiona Morris, Medical Herbalist & Holistic Therapist, and Joanna Anderson, Arvigo® Therapy & Complementary Health Practitioner, are combining their expertise to offer a new Women's Self Care Clinic specialising in women's health, exclusively at Neal's Yard Remedies Edinburgh on Thursdays & Fridays. All of this, a whole month's worth of supreme self care for £175. To celebrate the launch of this new clinic on 11/11 book your first appointment and pay for your package by 22nd November 2016 to enjoy your first package for only £111. After the initial month working with Fiona & Joanna, you will have the option of deepening your commitment to your sacred self care journey with the option of 3 month packages for £333.